Still not convinced? Here are ten reasons why you should visit Budapest. Populated since Roman times, Budapest was established by unifying Óbuda, Buda, and Pest in 1872. Some of the oldest witnesses to its history are the neo-baroque palace at the Castle Hill, and the neoclassical Hungarian National Museum. For a dose of history, one can take a ride on the Yellow Underground Line, or visit the Heroes’ Square and its Millennium Memorial. Rich history makes rich architecture. Most prominent styles in Budapest are Art Nouveau, Gothic, Renaissance, Classicist, and Baroque. One example is the captivating neo-gothic Hungarian Parliament on the bank of the Danube River. Another is the neo-gothic Matthias Church, or the neo-renaissance Hungarian State Opera House. The National Theatre of Hungary and the Palace of Arts are examples of Budapest’s modern architecture. No building in Budapest can be taller than 96m! That means that the whole city is there for you to observe from one of numerous viewpoints across the city. For example, you can enjoy spectacular views of Budapest and the Danube from several points at the Buda Hills, such as the Gellért Hill and the Buda Castle. You don’t have to leave Budapest to enjoy its nature – just take a tram to one of its lovely parks. Go to Normafa for hiking, or take a walk in the City Park to enjoy the greenery and to visit the Vajdahunyad Castle with its pond, as well as the statue of the first Hungarian medieval chronicler. You must visit Margaret Island and witness its gorgeous nature. Perhaps have a picnic there, or explore its medieval ruins. Budapest is a foodie’s dreamland. There are eateries serving all sorts of delicious foods, be it local dishes, or their modern versions. If you’d like a bite from a food truck while strolling through the night market, or you’d prefer to dine in a restaurant, neither is a problem. As international restaurants are popular, you can eat tasty dishes from all four sides of the world. Crossing Budapest’s famous bridges, or standing on the terrace of the neo-gothic Fisherman’s Bastion, lets you see the city like never before. You can also take a ride on tram No.2, declared one of ten most amazing tram routes in the world. 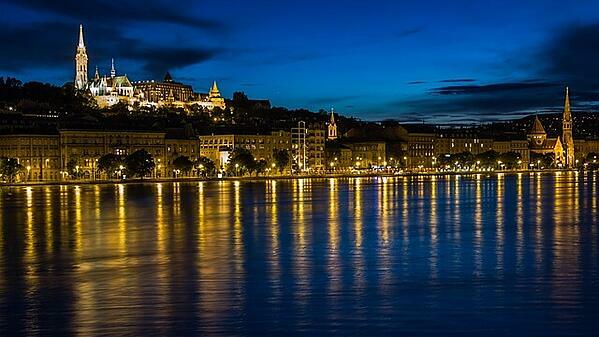 How about a cruise on the Danube for some picture-perfect views? Well, boats are now integrated into the public transportation system. The main attraction of St. Stephen’s Basilica is the Holy Dexter – the mummified right hand of St. Stephen, the first King of Hungary. August 20 is a public holiday commemorating the foundation of the state, and it is the only day of the year the hand is taken out of the basilica. There are fifteen beautiful public thermal baths in Budapest, most of them located in stunning edifices with fascinating architecture, like the Hotel Gellért, the Széchenyi Thermal Bath, or Király baths. 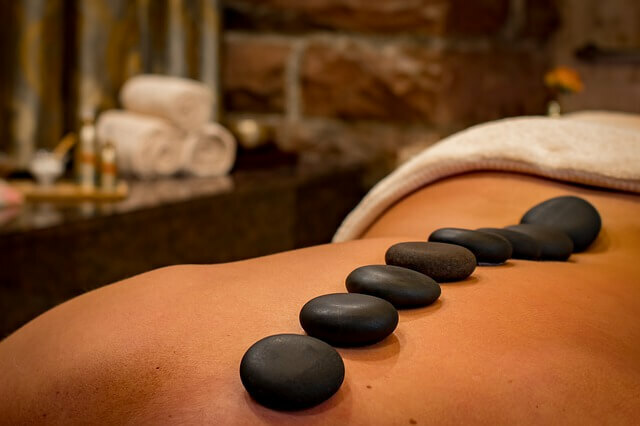 All have healing properties and are the perfect places to relax. Outdoor thermal pools are especially attractive in the wintertime. The Dohány Street Synagogue is the largest in Europe and second largest in the world. Built in 1859 in the Moorish style, it can seat 3000 people. The Quarter is Budapest’s liveliest neighbourhood, as it’s filled with bars and boutiques. But it also has many historical sites for you to visit, such as a cemetery, a memorial garden, and a museum where you can learn about the Holocaust and the Budapest Ghetto. There is now a revival of Jewish culture there, with many kosher restaurants opening up, and a group of Orthodox Jews living in the Quarter. There are festivals in Budapest all year round! How about going to the Óbuda Island for the biggest European music festival? Perhaps you’d rather visit the Art Week and International Book Festival. You can enjoy sporting events, like Budapest Cup–International Synchronized Skating Competition. If you like beverages, maybe Ball of Hungarian Wines or Tea Time would be perfect for you. Foodies can visit Food Truck Show or the Gourmet Festival. You can also visit the Budapest Jewish Film Festival, or the Jewish Cultural Festival, an annual event with concerts, theatre shows and performances, which highlight Jewish culture.